Hey guys! As most of you know, I just started my second semester of college (you can see the classes I’m taking/extracurriculars I’m doing here), and I have gained a lot of valuable knowledge from my first semester in college — including NOT to take back-to-back classes. Here, I talk about why taking classes one after the other, instead of having gaps between my classes, did not work well for me at all. When creating my schedule for my first semester in college, I scheduled my classes back to back, i.e., the time between the posted end time for one class was only 15 minutes before the start time of the class after. In high school, I only had 5 minutes between classes, and assumed 15 minutes would be more than enough for me to walk to class and get settled just as I had been doing for the previous four years. But even though I had more time between classes, I also had to walk much further between them, sometimes halfway across campus. Even though scheduling my classes back-to-back in the mornings allowed me to have my afternoons free for extracurriculars and studying, I ended up being exhausted from running back and forth all morning, and became very unmotivated to get anything done. Additionally, in high school, a lot more class time was dedicated to student-focused work instead of lecturing, meaning that, for example, I could ask to go use the bathroom during class without worrying about missing much. In college, all of my classes are either lecture- or discussion-based, meaning that if I leave to use the restroom or get water, I lose valuable instruction or discussion time. (Plus, people — including your professor — may low-key judge you for leaving in the middle of class. After all, most lectures are only about an hour, so you really have no excuse to miss class time when your day is not as structured as in high school.) Furthermore, I’m the type of person who absolutely hates walking into class late, or even just a few minutes before it starts; not only because that gives me a certain reputation of always being late/just barely on time (and thus unreliable, in the eyes of some), but also because I don’t have those extra few minutes to get settled: pulling out my notes or laptop, taking off my coat, getting water, etc. This semester, since I have no back-to-back classes, I have consistently gotten to almost every class so far 10-15 minutes early, and it has taken off an enormous amount of stress that I struggled with last semester. Allowing myself more time between classes has allowed me to settle in and prepare for classes more effectively, and oftentimes, I have a few minutes to review my notes, answer emails, or chat with a classmate before the lecture begins — all things I find more productive and useful than rushing in one minute before class starts. Lastly, taking classes back-to-back actually inhibits your learning. In the book The New Science of Learning by Terry Doyle and Todd Zakrajsek, research cited indicates that your brain is still encoding and storing information you’ve learned up to an hour after classes. If you go straight from one class to the next, you inhibit that process by flooding your brain with new information, and will have a harder time recalling what you learned in the previous class. Instead, the authors suggest participating in something that requires less critical thought and processing, such as getting lunch with a friend, after class to allow your brain to store the information you’ve learned in your long-term memory, and allow you to learn it more effectively. So, simply scheduling your classes to be further apart actually helps you learn better. Those are all of the reasons I have for why you shouldn’t take back-to-back classes. Let me know what you guys think. Do back-to-back classes work for you? Or do you need more space between classes, like me? 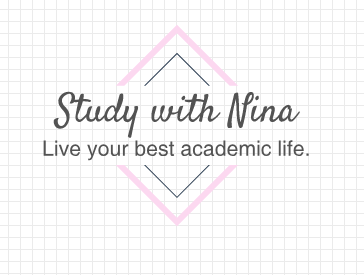 Comment below and follow my blog for more weekly posts about studying, productivity, and more! Next postAP vs. Dual Enrollment: Which is Better?